The last time I was in Osaka, nearly 15 years ago, the rows of cherry trees lining the riverbanks were in full bloom. Arriving by night, I spied walls of blazing neon through the windows of our tour bus, and a series of waterways carving their way through an urban labyrinth. 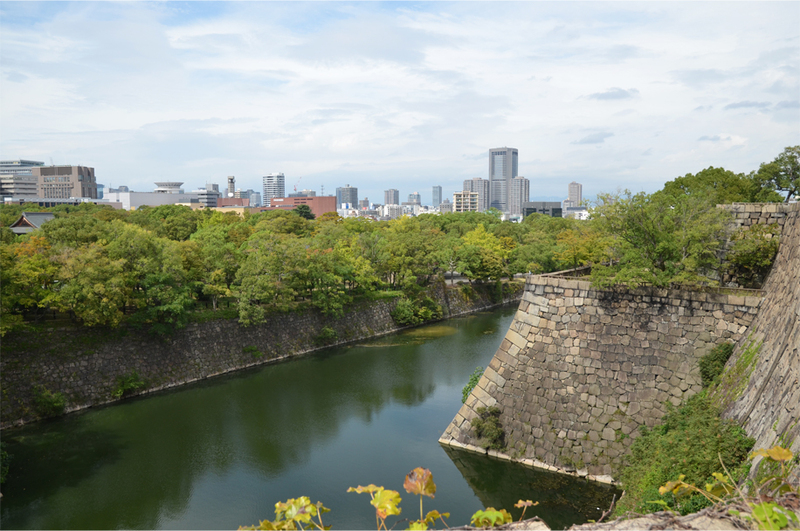 By day I remember standing in the grounds of Osaka Castle, marvelling at the size of its curving ramparts and the gilded reliefs on the uppermost level of the main keep. I’d always wanted to return to Japan, but Hong Kong’s relative proximity to the country and its reputation as an expensive destination had kept me away. It was only after moving to Southeast Asia that those plans became anything more than a possibility. Bama had never been, and that was enough reason to put us on a seven-hour red-eye flight from Jakarta. With morning came our first view of the Japanese home islands. I looked down over the hills surrounding Kagoshima in the southernmost part of Kyushu, where I’d begun the first of four family holidays in Japan. I remember being told that the biggest radishes and smallest tangerines grew on the lower slopes of Sakurajima, that wide, smouldering volcano looming just across the bay from this city of roughly 600,000 people. 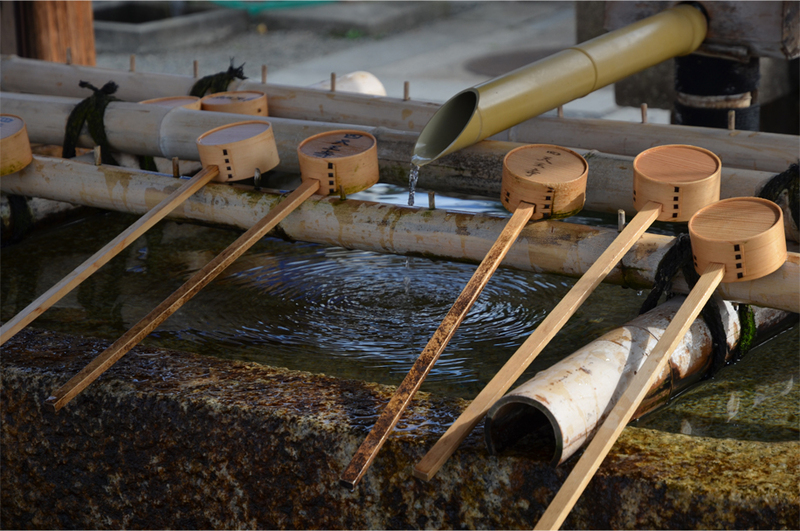 In Kagoshima I admired the local Satsuma ware, particularly one minimalist earthen pot with a luminous, mustard-colored smudge brushed onto a black background of iron-rich clay. But my hands gave way and the small pot shattered into a multitude of pieces on the shop floor. I was a child then, and somehow the loss of such beauty from this act of carelessness brought tears running down my face. Mother ended up buying a replacement, although the painted smudge wasn’t quite as perfectly formed. The plane tracked northeast, passing the rest of Kyushu before reaching the island of Shikoku. We saw power lines threading across a series of forested mountains, and a plain of paddy fields and villages came into view, bisected by an untamed river dotted with sandbanks. The final approach took us on a broad sweep over Osaka Bay, past the soaring suspension bridge spanning the Akashi Strait, the reclaimed islands off the port city of Kobe, and Osaka itself, a concrete sprawl of 19 million people that stretched far into the distance. For me, Japan exists in a dimension that is both familiar and completely unknowable. I can read kanji, the Chinese characters that are widely used in the Japanese language, but neither of the two native scripts, hiragana and katakana. 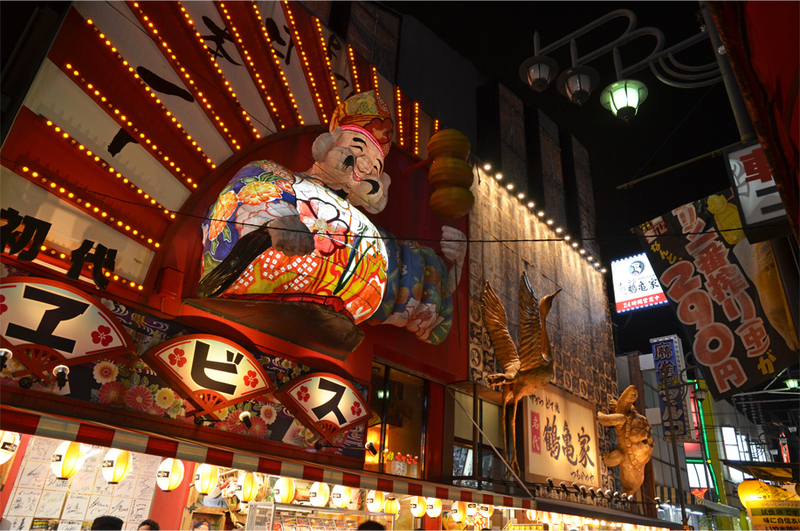 Although I’d been to Osaka twice, I’d long forgotten what it was like to encounter Japanese customs and social norms. Most of all, I hadn’t expected the humidity – especially not in the early days of autumn. 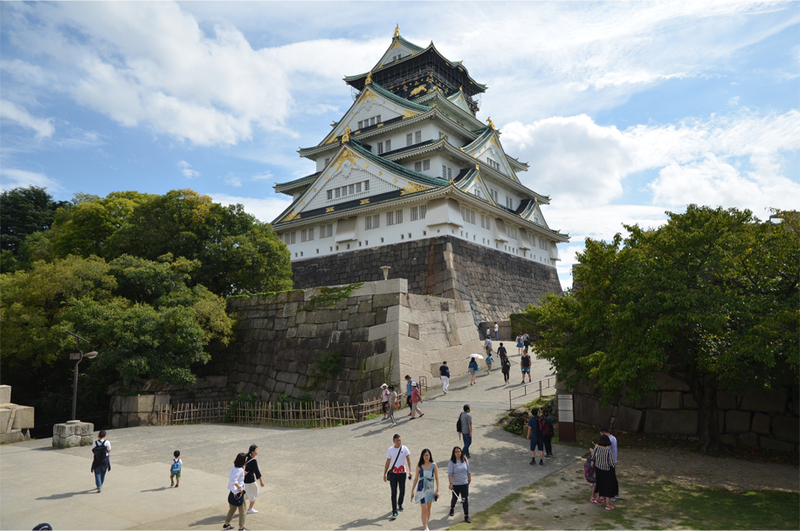 Bama and I headed down into the nearest subway station, plotting a route to Osaka Castle. 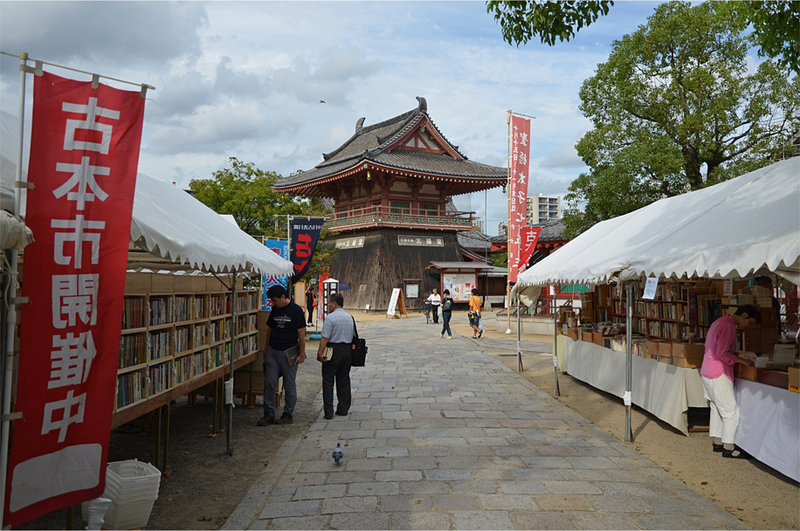 We soon stumbled across a food fair in the leafy grounds beyond the inner moat; a matcha soft serve ice cream and matcha-flavored mochi (sticky rice cakes) gave us temporary relief from the humidity. Rising above it all, the copper-roofed main keep – a 1930s concrete replica housing a museum and elevator – was just as stately as I’d remembered. 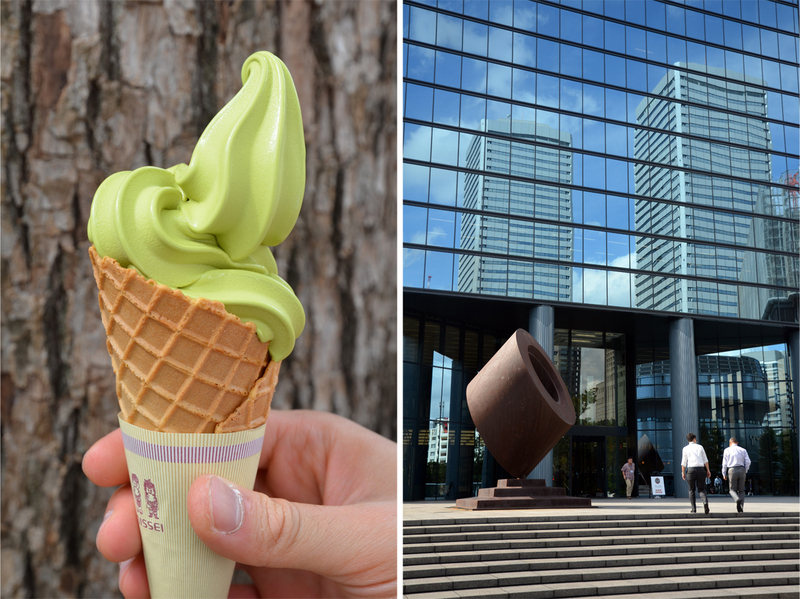 Although our time in Osaka was planned as a one-night stopover before going elsewhere, we couldn’t leave town without trying two local specialties. 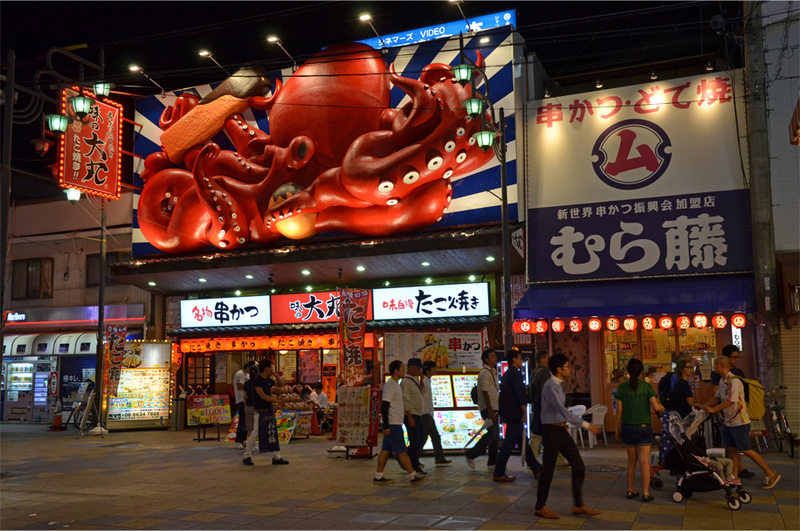 At the foot of Tsutenkaku tower, lunch was a platter of piping-hot takoyaki, octopus pieces in grilled balls of dashi-flavoured batter, dressed with a thicker, sweeter version of Worcestershire sauce, a heap of bonito flakes and copious amounts of spring onion. Dinner involved two kinds of okonomiyaki, a thick savoury pancake stuffed with a variety of ingredients: typically meat or seafood, carrot, and shredded cabbage. Bama and I were seated with an iron griddle (known as a teppan) between us, and soon the waiter set down two metallic bowls of assorted ingredients. One had egg and diced shrimp; the other contained pieces of beef tendon, leek, and spring onions. “Just mix,” he said. We dutifully followed his instructions, and soon I wondered if someone else would come our way to pour the batter onto the hot teppan. After all, the waiter had already coated the griddle in a thin film of oil and deposited two flat turners at one corner. It was only when someone else gestured for us to start cooking that we realized our mistake. For making okonomiyaki is largely a do-it-yourself activity. Bama’s face was a mirror of my own confusion. “I’ve never had this before.” That was his signal for me to take charge of the griddle – in other words, going by instinct. 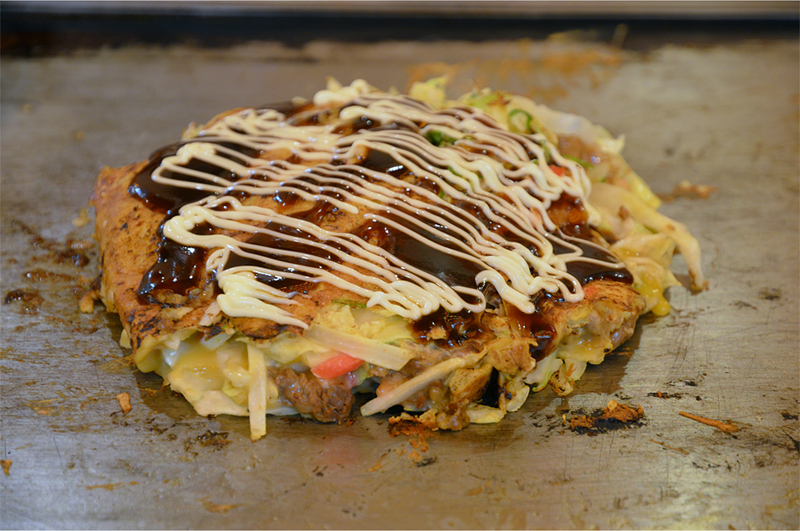 I had eaten okonomiyaki several times, but in Hong Kong, it was always prepared in the restaurant kitchen. Pouring out the egg and shrimp concoction from its bowl, I patted and shaped the sizzling mixture with both turners into a rounded mass. In time I flipped over the pancake, letting it cook for a few minutes before spooning over a rich, dark sauce, adding delicate lines of bottled mayonnaise, and cutting the finished morsel into quadrants. 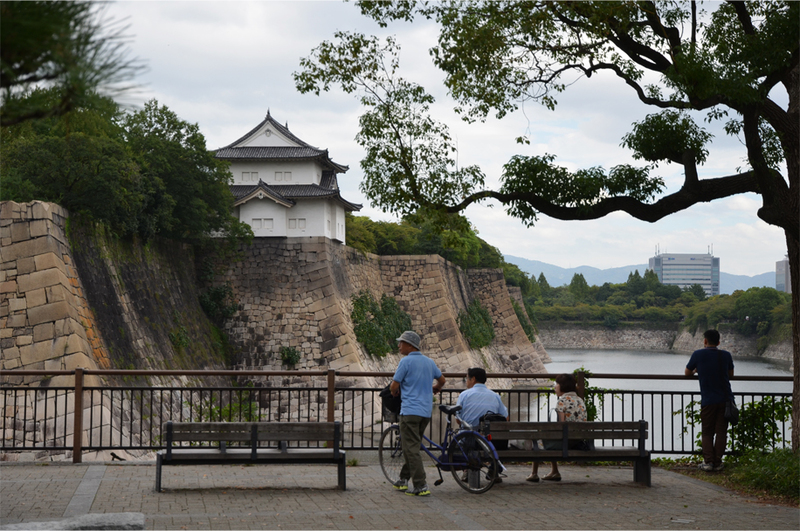 We both adored our week in Japan – ternyata Bama nggak mau pulang! Luckily the humidity didn’t last very long. From the second day onwards it was cool and dry, so perfect for exploring places on foot. I guess the okonomiyaki turned out well because of beginner’s luck! That Tsutenkaku Tower is well-known among us, Japanese anime freak, especially those who read (or watch) Detective Conan series. Japan has always been my ultimate dream. 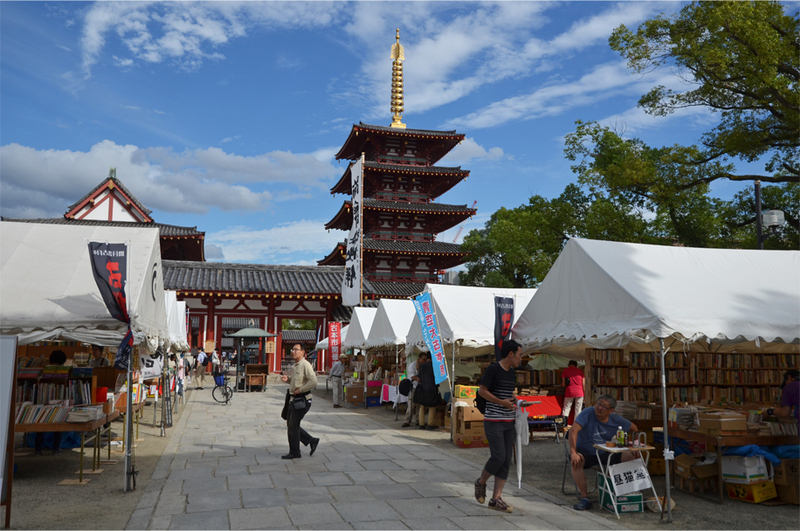 One thing I love about is the collaboration of modernism and traditional, where temples stand next to iconic skyscrapers, cafes meet the okonomiyaki stall, or shopping malls and the traditional market. Ah, I hope it’s not a long way to Japan..
Ah, so it wasn’t just Bama after all! 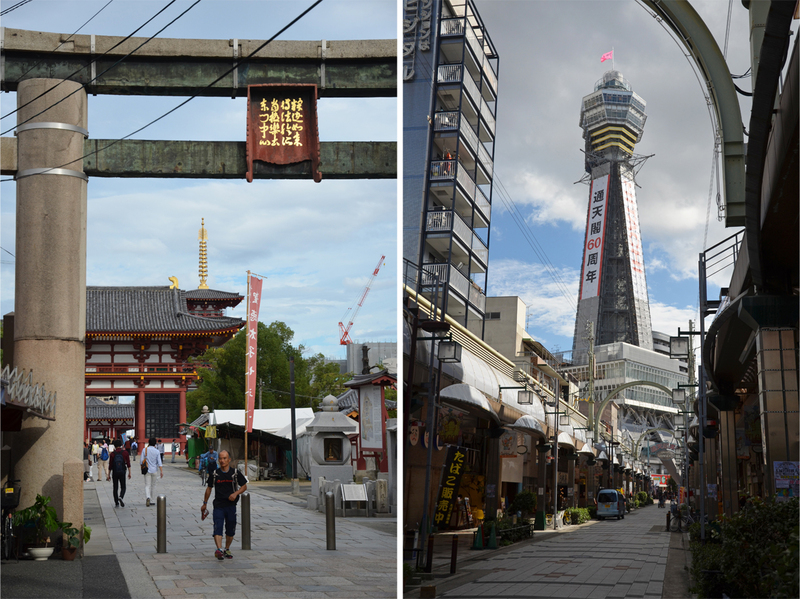 It’s a shame that Tsutenkaku was under renovation when we went; for that reason it wasn’t lit up at night. 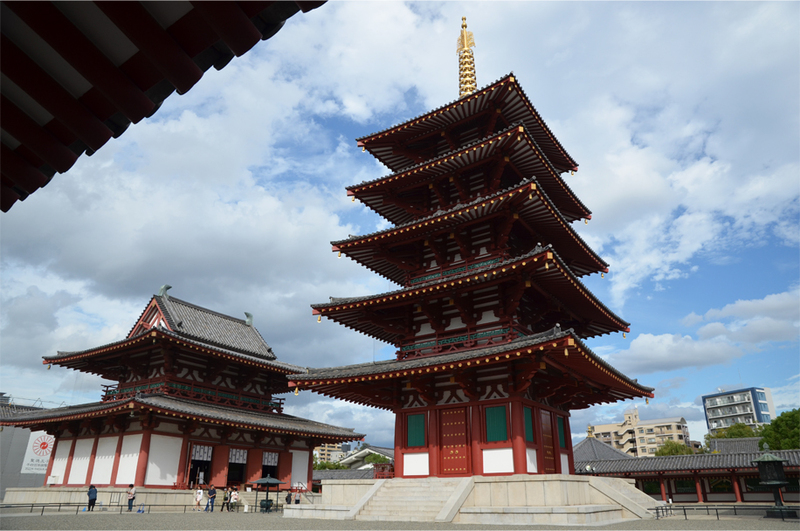 Now that the visa process has become a lot easier for Indonesians, you should start saving for a future trip to Japan. We saw groups of Indonesians at some of the popular temples and shrines in Kyoto – most were travelling independently on the local trains, which is always great to see. Yah, too bad the tower was under renovation. Despite the humid and cloudy start of the day, it turned out to be a day well-spent. That matcha mochi was probably among the best I’d ever had, as well as the takoyaki. As for the okonomiyaki, you actually did a very good job! 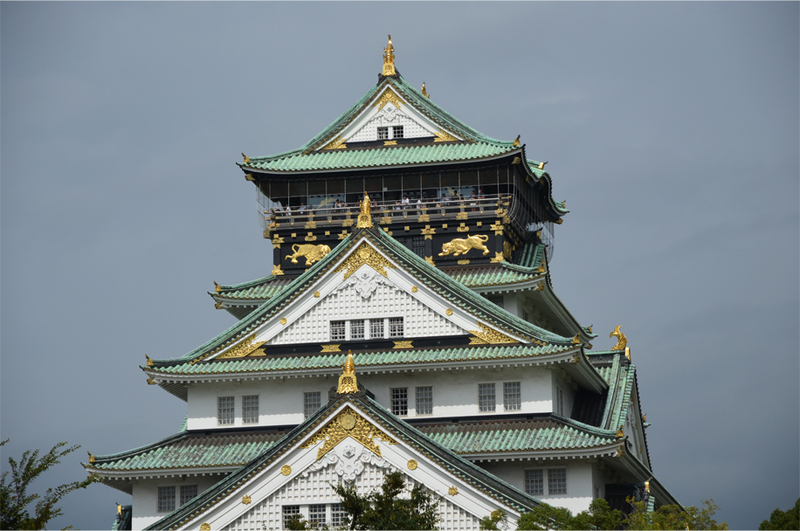 Regardless of our short time in Osaka, it was a very memorable introduction to Japan for me. The orderliness, cleanliness, and efficiency (remember that old lady at the shop who did things very fast?) provided me with a glimpse of how the week-long trip would be. Thanks Bama. All I knew was that the okonomiyaki should be round and not overly thick… the rest just sort of happened. 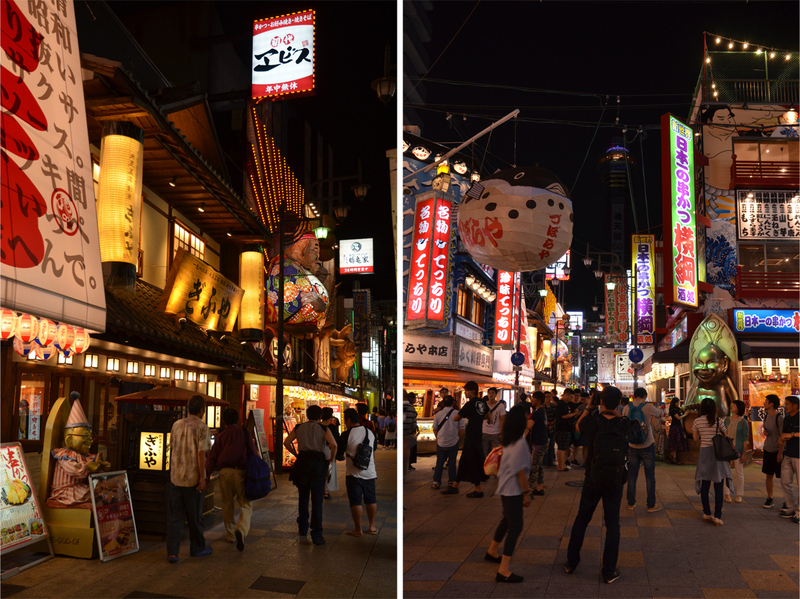 Coming from Jakarta, Osaka was definitely a culture shock but in a pleasant sort of way! Even the cashiers at convenience stores in Hong Kong aren’t as fast as that lady we encountered – her speed and multitasking skills were very impressive. You’re welcome, Aggy. 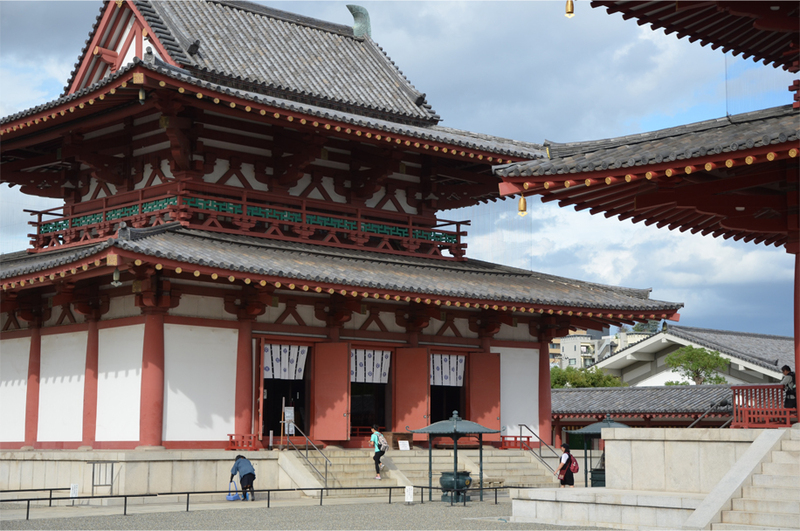 🙂 This is the first in a dedicated series so I will be posting more from Kyoto, Nara, and the other places we visited. 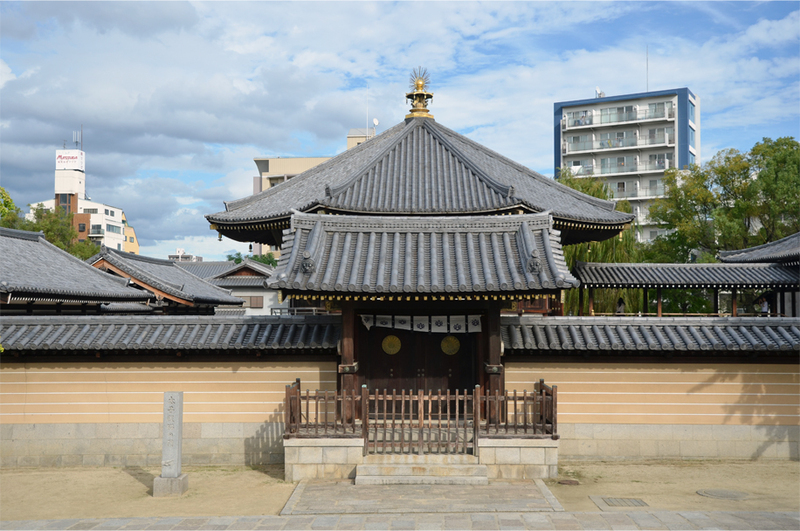 The food is reason enough to go, not to mention the varied landscapes (that look different in each season) and Japan’s wealth of traditional wooden architecture. You’re welcome, Sandra! 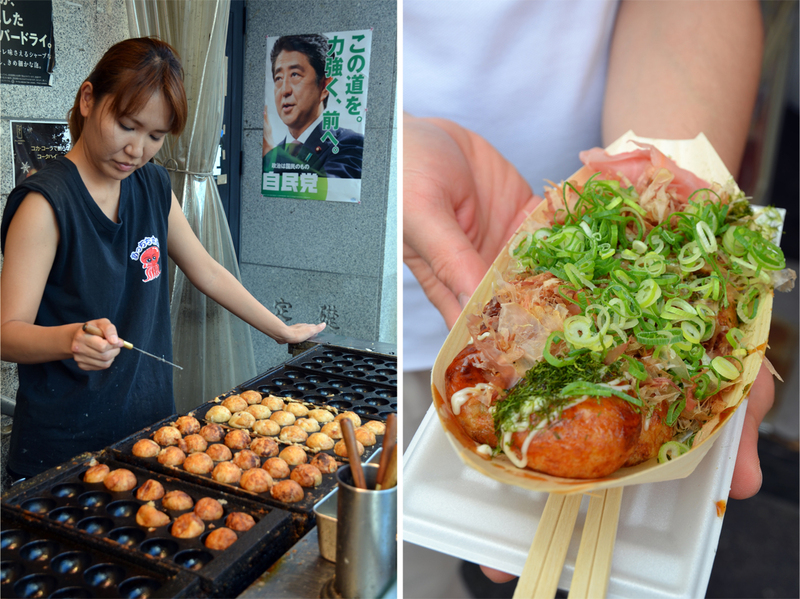 Thanks in turn for the lovely comment – the takoyaki in Osaka was seriously the best I’ve ever had. I hope you make it to Japan pretty soon! You had me laughing at your DIY cooking experience. I’ve always been confused by such concepts, like hot pot, where you pay for the privilege of cooking your own meal! Once in China, a young girl essentially fed me my hot pot meal when I was confused what to do, but it wasn’t even one of those creepy no hands places, she just felt sorry for me. Looking forward to hearing more about your time in Japan. I think my confusion came from the fact that in all the Japanese restaurants in Hong Kong serving teppanyaki, customers generally sit back and watch the chef do all the hard work. By the way, your hotpot story is just hilarious! You make a good point though… I’ve always assumed people pay for the social aspect, the equipment and the fact that they don’t need to clean up afterwards. What a great post James. It all sounds so wonderfully enticing and confusing at the same time. Japan is definitely on the list! Maybe one day I’ll make my own okonomiyaki. It looks delicious. Thank you, Alison. 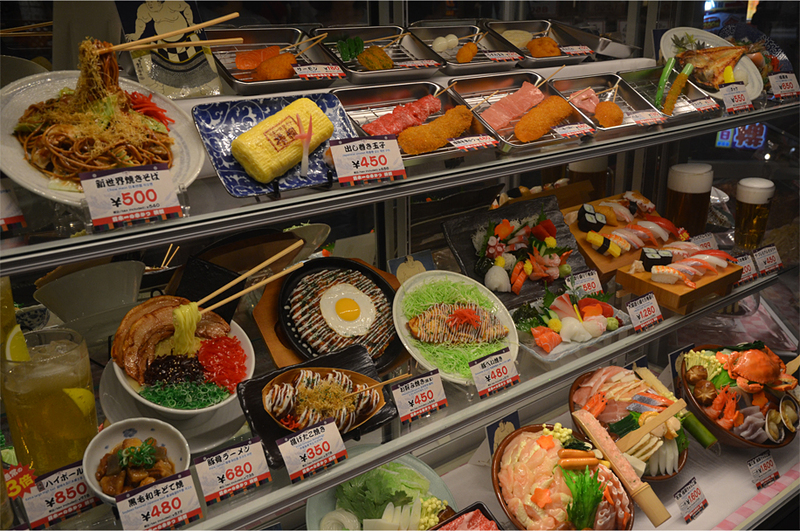 I am certain that you will appreciate all of Japan’s quirks when you and Don eventually get there. The okonomiyaki was pure comfort food – and not at all difficult to make! 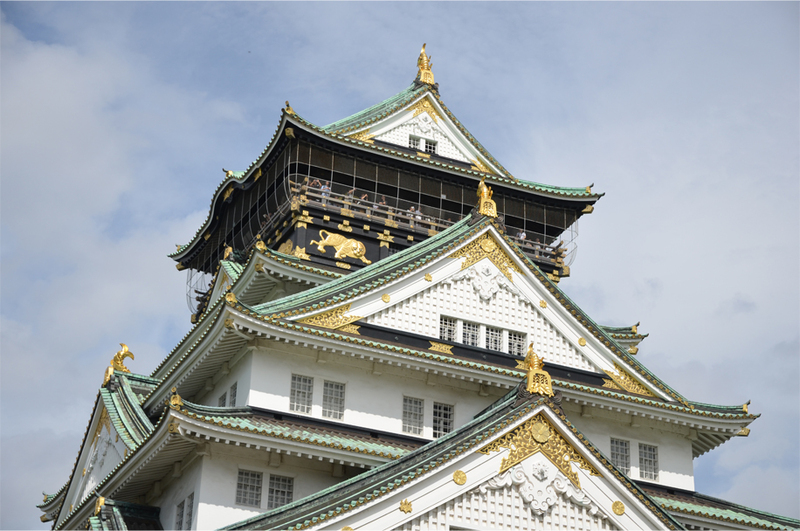 Even though it’s a modern reconstruction, that castle is really a symbol of Osaka. The humidity, of course. The last two times I was in Osaka there was a cyclone coming. On the last occasion I was on one of the last flights out before they closed the airport for the day. But Osaka’s fun. Just like the rest of Japan. There’s always something new to do. Wow, it sounds like you had a narrow escape! We were prepared for unstable weather and bouts of rain the first few days – the forecasts showed remnants of a typhoon moving up from Okinawa. Luckily the rain never materialised. I am rarely super interested in the food part of posts, but this time was an exception. Those octopus balls looks amazing, and the okonomiyaki too. I found it quite humorous that you guys actually found your bearings by seeing something from Bama’s childhood manga hobby, but since a big part of my wanderlust comes from reading books and wanting to see their settings in person, I get it! Japan has moved higher and higher on my list since a bunch of friends and family have gone recently – can’t wait to see it myself! The octopus balls were heavenly… and just the sort of thing to have when the weather starts getting cold! There must be a vegetarian version out there somewhere. I totally agree about the wanderlust that comes from reading – that was definitely true for our Spice Odyssey last year. You know, I have never met anyone who has been to Japan and didn’t love it. Fingers crossed you’ll make it there soon! James I have to say I felt a bit overwhelmed just following along virtually. I thought to myself if you felt confused what in the world would I feel like! Your photos of the castle left me wide eyed for some minutes. A gorgeous perspective. Between your story telling and vibrant photos I felt as though I was walking along the streets with you. 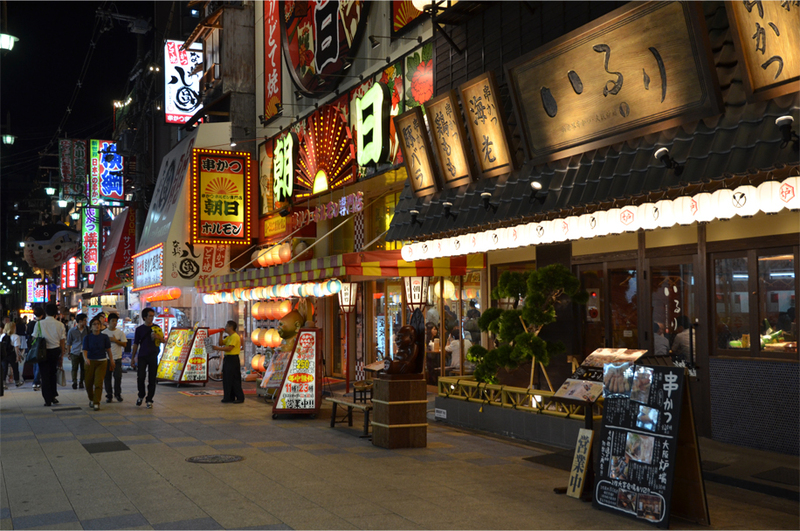 Thank you so much, Sue – I’m glad the words and photos momentarily transported you there to the streets of Osaka. I think part of the confusion came about because being a repeat visitor, I wasn’t expecting it at all!